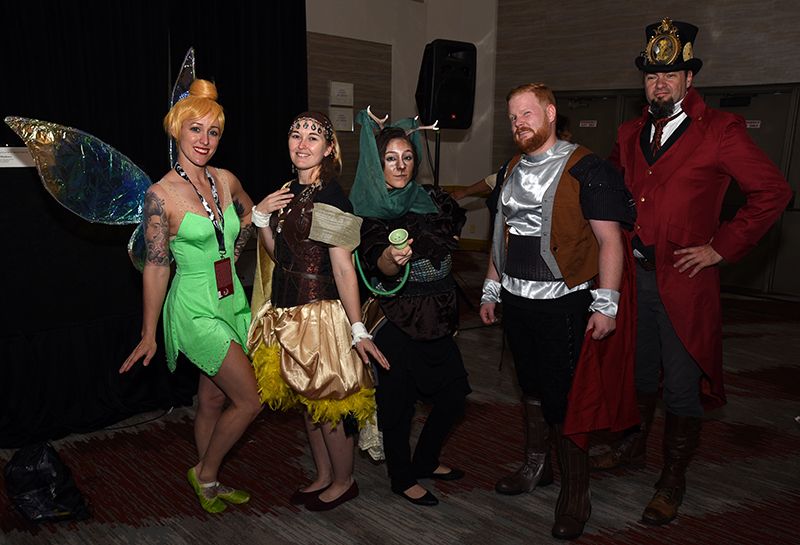 If you’ve ever wanted to see a costume thrown together in thirty minutes from random scraps, then “Extreme Makeover: Steampunk Edition” is the panel for you. 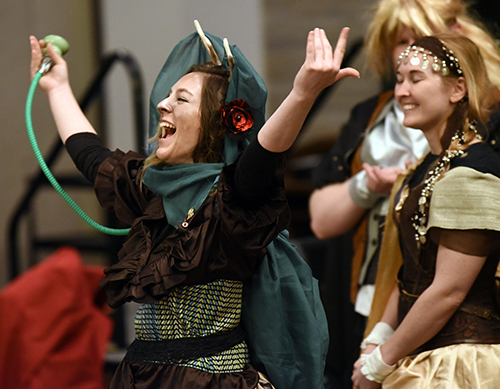 On Friday at 2:30PM in Hilton Grand East, cosplay fans were treated to three expert costumers creating costumes from a wagon filled with scraps. David Anthony Lee, Astrid Shadows, and Andrew Reseigh graced the audience with some of their costuming genius. Doctor Q and Daisy Viktoria acted as moderators and judges, providing ample commentary while the artists worked their magic. Q and Viktoria picked three random audience members to come up to the front and receive Steampunk Makeovers. Each audience member was assigned to one of the guest artists to work their magic on. 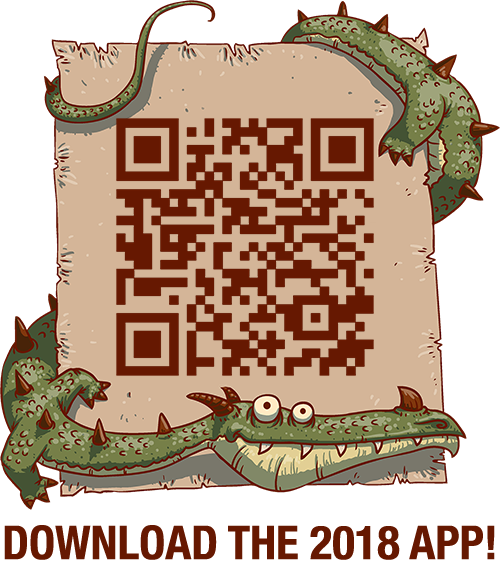 The artists had twenty minutes to dig through a wagon filled with random supplies and come up with a costume idea for their model. The wagon had everything from vests to wigs to a random hookah thrown in. Nothing in the wagon had to be used as-is, and the artists were free to cut and sew anything they found to make it work for their costumes. After the twenty minutes were up, the artists had to step away from their models while the judges walked around and evaluated the work thus far. The artists could then use the judges’ feedback to improve their costumes. But before they were allowed to begin working again, three random audience members were chosen to come up and look through the remaining items in the wagon. They were each able to pick one item out and give it to an artist who then had to incorporate the item into their costume in some manner. Then the final ten minutes began. Some of the artists worked diligently while others resorted to some smack talk to intimidate their competition. When all was said and done, all three artists had thrown together amazing costumes. The final judging was done by audience applause. It was a close call, but in the end, Lee was crowned the winner for his steampunk’d Bambi.